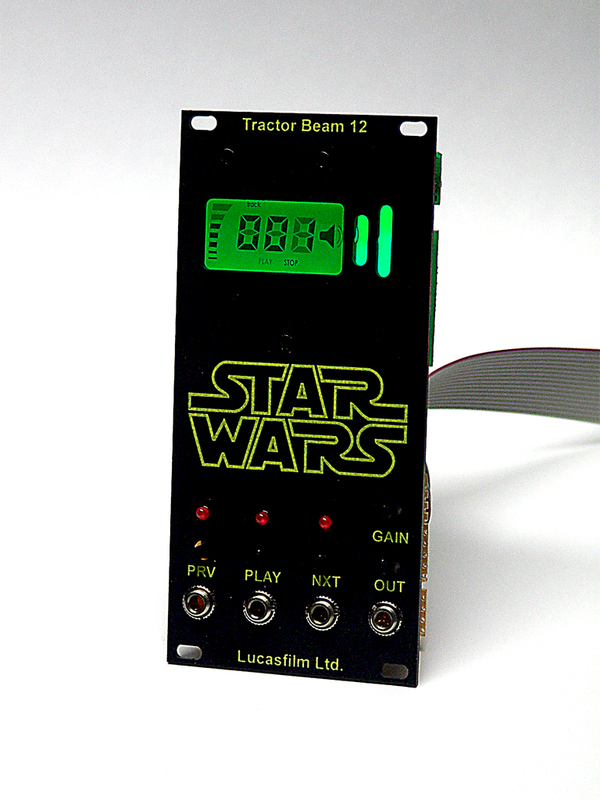 SW Tractor Beam 12 eurorack module, May the Force be with you! It’s not every year we get a new Star Wars movie and considering how much the first ones influenced me I had to do something to show my appreciation. 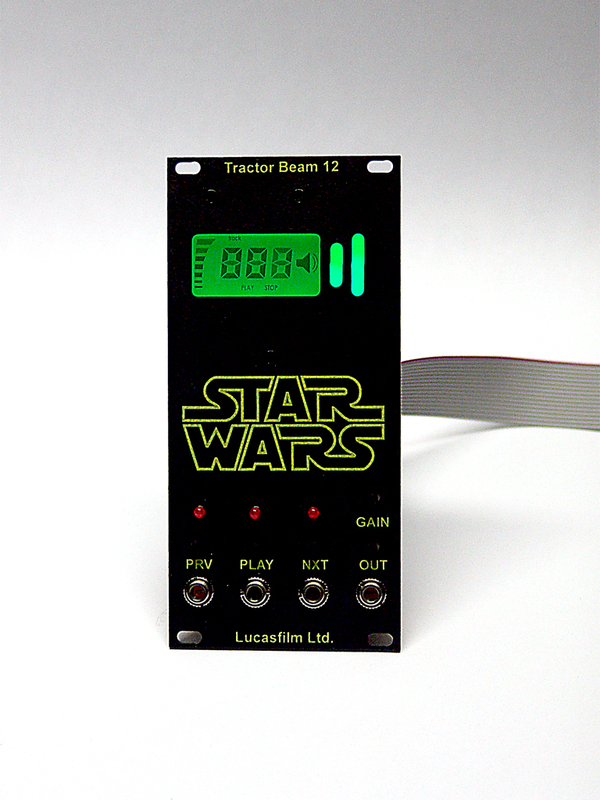 I borrowed the electronics from the ‘Sounds of Star Wars’ book and added a backlight to the LCD screen and CV controls for the buttons. So, every time I want to feel like a kid I can patch away! 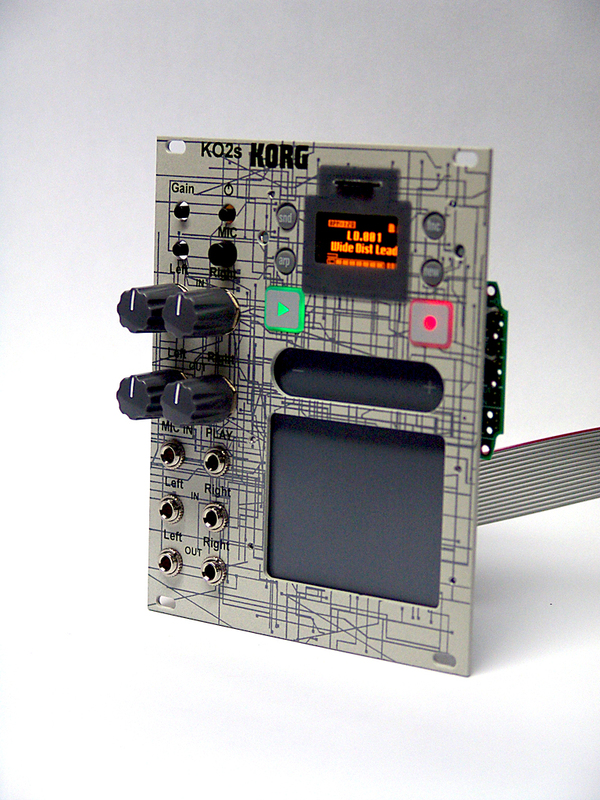 If you know how much I like the Korg MKP2s then you would think it just would be a matter of time before I would get around to euromodding a Kaossilator! I honestly do not know what took me soooo long. I guess I thought I would not need a dedicated phrase synth in my eurorack. But after playing with it for only a few minutes I found the acoustic instruments very pleasing and flexible to use. I thought having CV control over the play function would be great and keeping it fairly small at 20HP would work too. 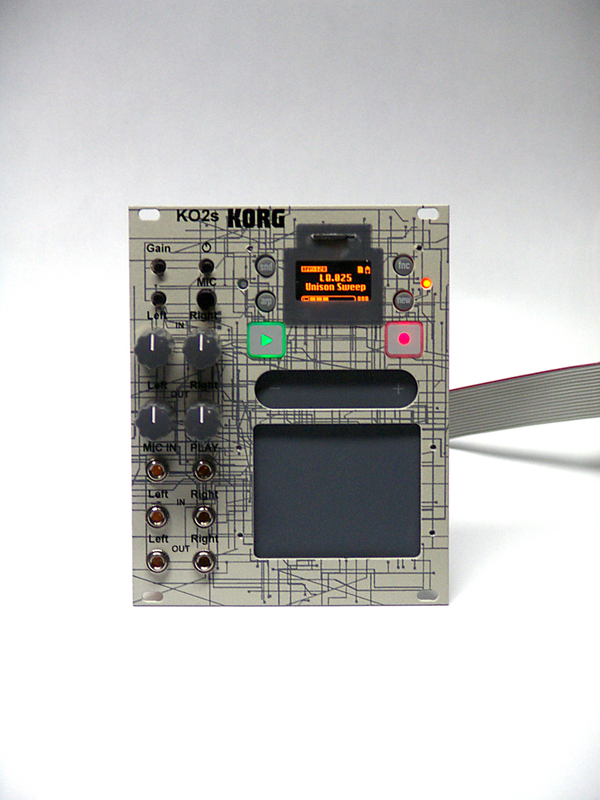 Might just be one of the smallest drum machines on the planet! 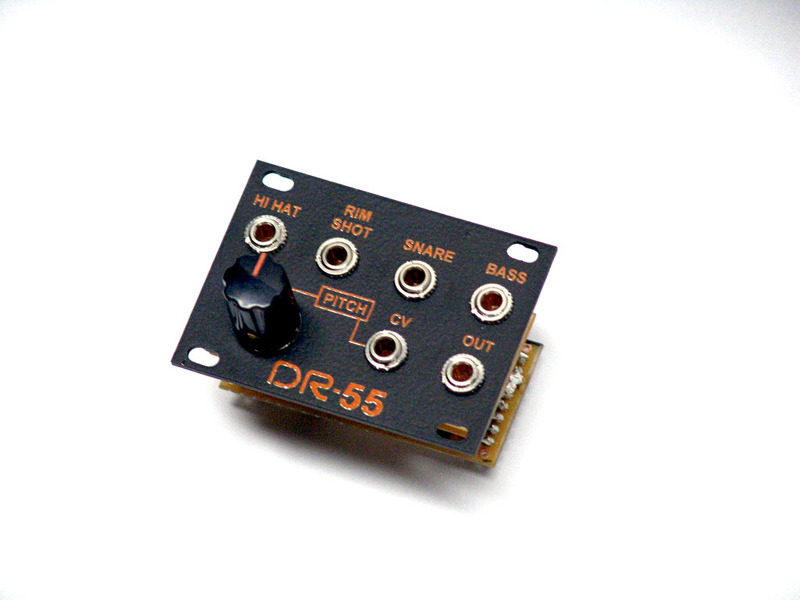 Continuing along in our early drum machines theme is the Dr.Rhythm DR-55. 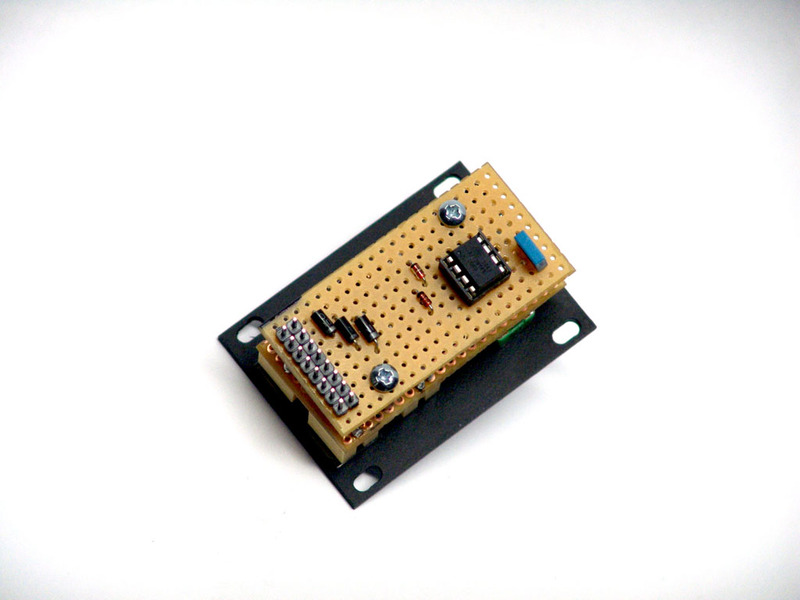 This is based on the D-4 chip from Jan Ostman. If you are a eurorack modular enthusiast and have run out of 3U room, this tile makes it easier than ever to add some old school percussion to your rack.